FOOTBALL: Manchester United boss Joe Mourinho has walked out on an interview after watching his team throw away two more points in its attempt to close the gap on English Premier League leader Chelsea. United was frustrated by Hull City Eldin Jakupovic goalkeeper who made six top-class saves to keep out efforts from Zlatan Ibrahimovic, Paul Pogba and Juan Mata in a 0-0 draw at Old Trafford. The stalemate moved the Tigers off the bottom but kept United in sixth spot four points behind Liverpool in fourth and 14 off the Blues at the top. A clearly frustrated Mourinho was asked by BBC Sports journalist Martin Fisher after the game: "What particularly did you feel the referee should have pulled them (Hull) up on?" Mourinho replied: "Well if you don't know football, you shouldn't be with a microphone in your hand." He then stormed off without asking another question. Manchester City, meanwhile, got its first win in three league games, with an emphatic 4-0 win at the London Stadium over West Ham. 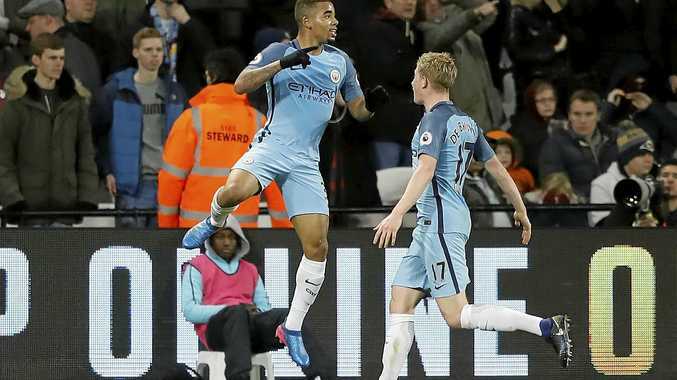 Kevin De Bruyne put City ahead and David Silva added the second, before Gabriel Jesus, the young Brazilian selected ahead of Sergio Aguero, bagged his first Premier League goal. Yaya Toure added a fourth after the break as City remained fifth, 10 points behind leader Chelsea. Former England striker Peter Crouch, meanwhile, became the 26th player 100 EPL goals as Stoke City drew 1-1 with Everton. Crocuh's goal, two days after his 36th birthday, made him the oldest player to reach the landmark.